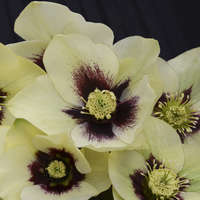 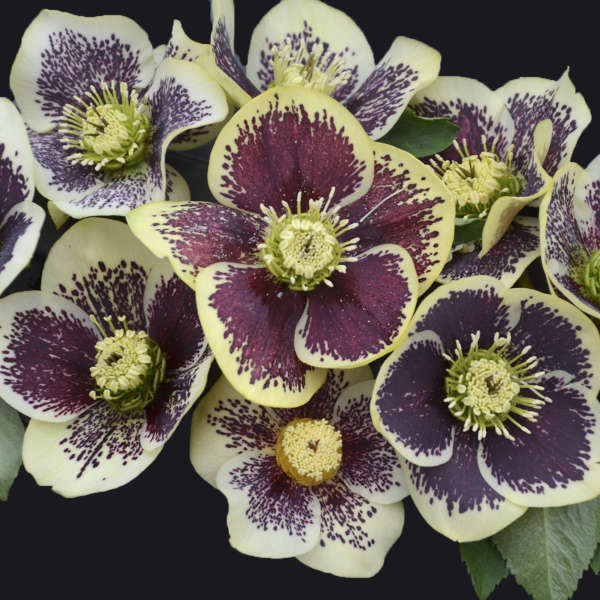 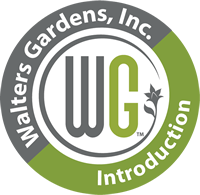 You’ve enjoyed the double-flowered Hellebores of the Wedding Party series, try the equally lovely single-flowered selections of the HONEYMOON® Series from Walters Gardens, Inc. hybridizer Hans Hansen. 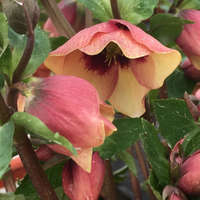 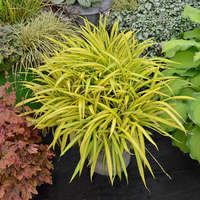 In his breeding work, he selects for plants with notable vigor, showy floral displays with large numbers of blossoms per plant, and rich flower colors. 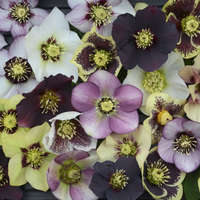 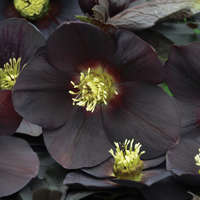 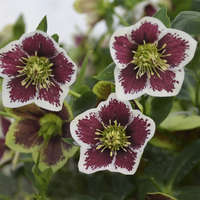 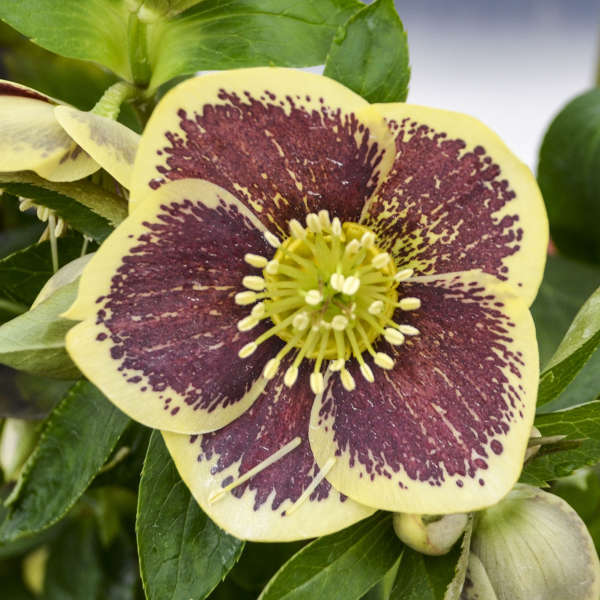 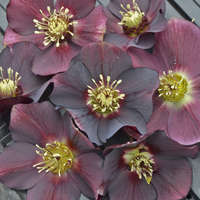 Helleborus 'Rio Carnival' bears 2½-3”, single light yellow flowers with heavy burgundy red speckling. 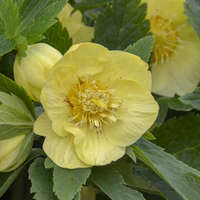 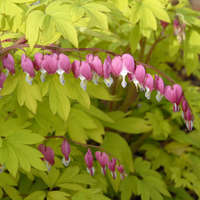 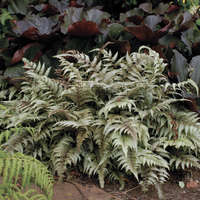 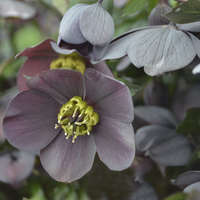 To increase the number of hellebores in your garden, mulch them heavily in the fall. 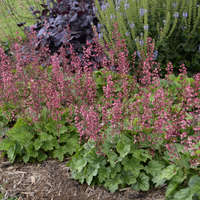 The new seedlings will grow in this mulch come spring and can then be transplanted elsewhere in the garden. 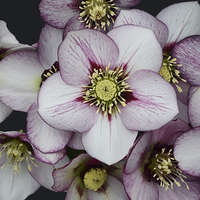 WARNING: Hellebores are poisonous. 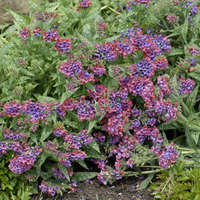 Do not consume any part of the plant! 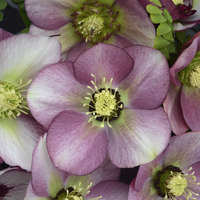 In popular legend, Lenten Rose were blooming outside the stable in Bethlehem, hence the name "Lenten" rose. 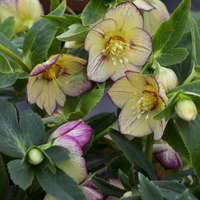 However, Hellebores aren't native to that area.